The staff at John Hall & Company includes the following professionals: A nationally accredited Farm and Land Broker (ALC), a senior instructor to CCIM, a Member of the Realtor’s Land Institute, a real estate appraiser, a past President of the Certified Alabama Chapter Commercial Investment Member Institute (CCIM), a wildlife biologist, two registered foresters and two past presidents of The Alabama Wildlife Federation (AWF). We have represented and sold recreational and investment property, timberland for individuals, conservation groups, REITS, commercial banks, estate trusts, corporations, and investment bankers. Below is a list of services that John Hall & Company can provide or facilitate through our long standing partnerships. 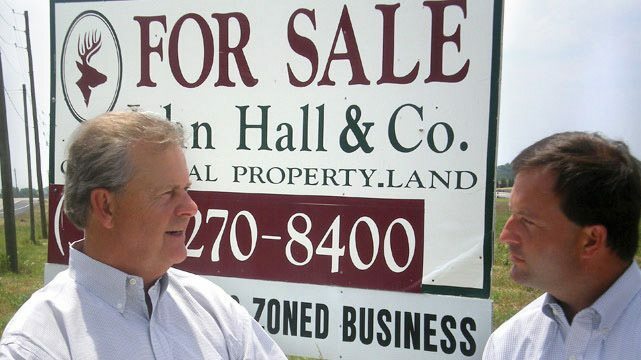 At John Hall & Company we have brokered land in Alabama since 1987. We list and market land for sale in Alabama for our clients utilizing a marketing plan that is second to none. Our name recognition and our contact database is the result of over 25 years of great service. Our properties include recreational hunting land, turn key plantations, farm land, transitional land, and timberland. We also represent buyers looking to obtain a sound investment tract or that perfect hunting retreat. We wade through the minutiae, pre-qualify interesting tracts, tour the qualified tracts with you and help you obtain a fair price. We represent your interest in negotiating a contract and a successful closing of the sale. John Hall & Company has the professional skills to assist buyers and sellers with their commercial real estate needs. As a member of the Certified Commercial Investment Members (CCIM) organization we are on the leading edge of local market knowledge and latest technology. John Hall & Company has many years of office, retail and industrial property leasing. We can assist the tenant by providing a number of properties to choose and then negotiating a fair lease for the tenant. Many investors like to include real estate in their portfolio. John Hall & Company has the technical expertise and market knowledge to analyze a property for the investor. About 1/3 of all our transactions at John Hall & Company involve the execution of an IRC 1031 Tax Deferred Exchange. A 1031 Exchange allows the seller of real estate to reinvest his proceeds from that sale into land or income producing property while deferring capital gains taxes! We can explain the process to you, find you a replacement property, and refer you to the appropriate attorney and intermediary to implement the actual exchange. Some clients require general information on our market area before deciding to purchase a specific property. We work on a fee basis to give our clients all the facts they need to make an informed decision. Through our affiliation with the largest appraisal firm in Montgomery, Real Estate Appraisers, LLC, we can handle any type of appraisal or market analysis our customers need.